Life as an NBA nomad has brought Dewayne Dedmon to every corner of the country. In only his first season in the NBA, Dedmon has already been signed and released by both the Golden State Warriors and the Philadelphia 76ers. Today, he joined his third team this season, when he signed a 10-day contract with the Orlando Magic. Dedmon played in only four games for Golden State, and routinely shuffled between the NBA and the Warriors’ D-League affiliate in Santa Cruz. However he seemed to find a home in Philadelphia, where he appeared in 11 games and averaged 3.4 points and 4.5 rebounds per game. But a long-term deal never materialized with Philadelphia and now Dedmon is on his way to a team that is devoid of depth in the frontcourt after agreeing to a buyout with Glen Davis earlier today. In joining Orlando, Dedmon will play alongside fellow Trojan Nikola Vucevic. Vucevic has been one of the lone bright spots for a Magic team that sits at 16-40 through 56 games. He’s averaging 13.6 points per game and 10.7 rebounds per game this season. While both players are former Trojans, Vucevic and Dedmon never played together while at USC. Vucevic played for USC for three seasons and graduated after the 2010-2011 season. 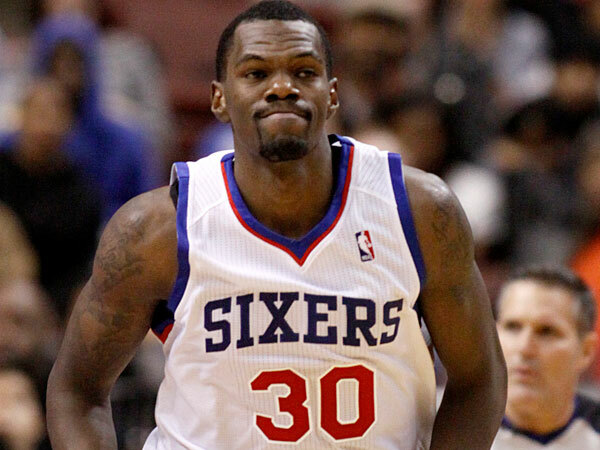 Dedmon joined the Trojans for the 2011-2012 season and went pro after last season. Now they will both be suiting up for the Magic, but with Dedmon on a 10-day contract, it’s unclear how long both Trojans will be in Orlando.